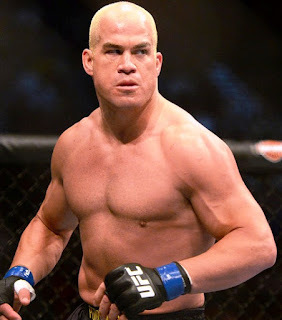 Judges’ decisions can be controversial, so it’s safe to say that Tito Ortiz and Rashad Evans had the most evenly scored fight in history of the Octagon at UFC 73. All three judges called the bout a 28-28 draw. If Ortiz hadn’t been docked a point for grabbing the fence, he would have won by unanimous decision. Fans had to wait four years for the rematch, as Evans beat Ortiz at UFC 133 by TKO in Round 2. Anderson Silva retained the middleweight title in the main event of UFC 73 with a TKO win over Nate Marquardt at the 4:50 mark. Silva pounded the challenger with a series of rights to earn the stoppage. UFC 73 was “stacked” with another title fight, as Sean Sherk used ground-and-pound tactics to retain the lightweight title with a unanimous decision over Hermes Franca. Former PRIDE heavyweight champion Antonio Rodrigo Noguiera made his UFC debut with a unanimous decision over Heath Herring. It was Big Nog’s third career win over the "Texas Crazy Horse." Kenny Florian won the PPV opener in the lightweight division, as he beat Alvin Robertson by TKO at the 4:30 mark. In the Fight of the Night, Jorge Gurgel won a unanimous decision over Diego Saraiva in a preliminary bout. Both men hailed from the same hometown: Fortaleza, Brazil. Frankie Edgar improved his record to 8-0, as he beat Mark Bocek with five seconds left in the first round. Other pre-show results included Stephan Bonnar over Mike Nickels with a rear naked choke at the 2:14 mark; and Chris Lytle over Jason Gilliam with a triangle choke in 2:15.